I’ve been wanting to write about this for some time, but other things kept popping into my head, I guess. This spring we began a trial run of Digitalia, which is kind of an e-book repository for mostly Spanish-language titles. 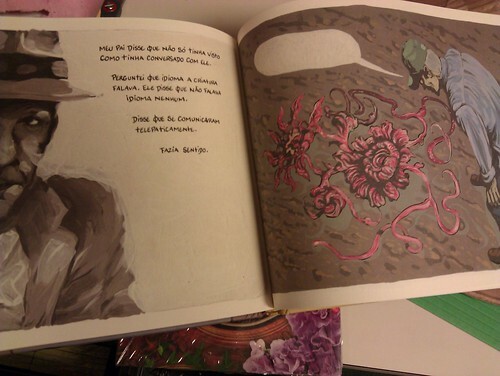 (At the moment there are also some in Portuguese, Catalan, and just a few in English.) Well, the library has purchased it! We’ve had it for a bit over a month now. The collection is extremely broad and growing consistently; topics include history, literature, linguistics, art, computer programming, engineering, general reference, the traditional sciences, law, geography, anthopology, international relations, and many more. Each book is available in either pdf or html formats, and also works great on mobile devices and tablet computers. A few of the many publishers in Digitalia include Anthropos, Universidad de Salamanca, Biblioteca Nueva, Iberoamericana Vervuert, LOM, and the Pontificia Universidad Católica del Perú. You can either search it at the top as you would with any online resource, or, on the left, break it down by books, journals, collections, or name of publisher. Not matter iif you are a Latin Americanist or an Iberianist (or both! ), I think you will find some titles here to be of great help to you. You can access Digitalia through my research guides, but I think the easiest way to get to it is by simply bookmarking its catalog record in GEORGE. (You will need to sign in with your Georgetown ID and password if you are off-campus.) We will also be adding catalog records in GEORGE in the near future, so they will be turning up in your search results there as well. Please feel free to let me know if you have any suggestions or comments about it: mrs249@georgetown.edu. I hope you find it helpful in your research. The week is halfway over, and so let’s celebrate by watching this fun video, “Domingo no parque,” performed by Gilberto Gil and Os Mutantes. It’s not the best video quality, but everything else is pretty spectacular. Watch it here. Thanks to a great feature on my research guides, I can see what are the most popular resources. (No worries about privacy; the statistics are completely anonymous. All I can see are numbers.) I thought it would be a good idea to feature some of the less popular resources that you may still find to be useful. Today’s entry is Correlates of War, which is based at the University of Illinois at Urbana-Champaign. It has many data sets that all kinds of researchers may find useful, and it is free. It is more like a clearinghouse of other data sets, although the site’s owner, Prof. Paul Diehl, does provide some of his own. Access the data sets by clicking on the “Available Data Sets” link on the left. Obviously, most of the data sets deal with treaties, militarized disputes, alliances, etc. But those interested in strictly diplomacy and trade issues will find it useful as well; see the last two links on the data sets page. Make sure you use the site’s Country Codes (first link under “Available Data Sets”) before jumping into a specific topic, so you know which country is which. Feel free to get in touch about this resource, or any others. If you need some general background on statistics, this page of one of my research guides will help you. Also, the Department of Math & Statistics offers a Consulting Clinic when you need to get down to the nitty-gritty. More information on that is here. Quick post. I just got word from the CLAS newsletter about some Ecuadorean films that will be shown in Rosslyn starting on Wednesday evening. More info here. A beautiful version of Argentine composer Osvaldo Golijov’s Tenebrae, played by members of the Boston orchestra A Far Cry is here. From my colleague at the University of Virginia, I just received word of the second Festival de cine online. Learn more and watch the films here. During the 2012 Mexican Presidential campaign, the UC San Diego Libraries began archiving websites from all the major political parties and putting them on the web here. There is not much in the “Site list” at the moment, but I did get good results from the general “Search” tab (my trial search was “Guadalajara”.) If I recall correctly, I believe I found out about this on the SALALM listserv before I began all my various travels. I hope you this new (newish?) kind of primary source is useful for researching and analyzing the campaign, and please let me know if you know of other similar projects, I’d be happy to post them here. While I am constantly attempting to provide as many good resources as possible right here in Lauinger, at the same time I encourage students and researchers to take advantage of the university’s location in Washington, DC, to fill in any gaps that may arise. It is important to keep in mind that many of these organizations may have their own agenda, and you may want to check the report’s sources to verify its conclusions. This is true, of course, of any kind of source, but I recommended learning more about the history and purpose of the organization that created the document before considering it as a source for something you’re working on. I won’t get into a discussion of the intricacies of interpretation and objectivity here, but, in short, make sure to look up the stuff in the footnotes. Keeping this in mind, many organizations hold talks, publish reports (often distributed for free at the talks), and have e-mail subscriptions that can also be useful for your research, and are often the first interpretation of the latest research on a particular topic in a particular country. I actually use them in my own work to find out more about a topic I’m less familiar with as a kind of starting point (again, keeping in mind potential bias issues) , or to identify possible primary resources. Via the SALALM listserv, I just got word of this interesting project going on in Buenos Aires, the digitization of Editorial Haynes. 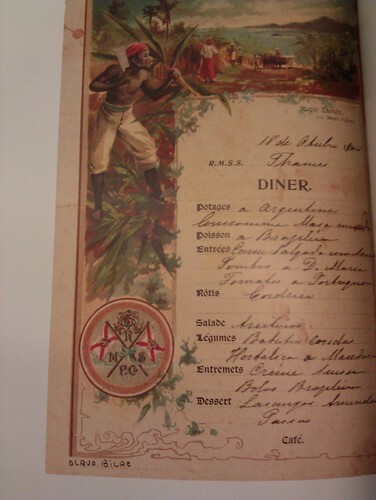 The publishing house was one of the most important in 20th-century Argentina, and launched the careers of many writers and editors, and also published several popular magazines that reflected daily Argentine life during this time. Information about the project is here. There is surprisingly little readily available information about the press itself, and so sometimes this is where Wikipedia can be pretty handy, at least as a starting point. Its entry is here. I have a feeling some interesting work can come out of this! Three new things just arrived that may interest those researching or studying in Brazilian literature and cultural history. 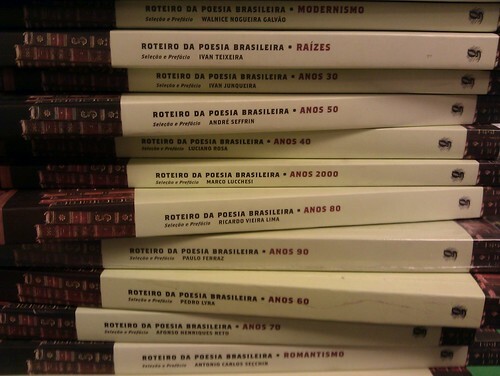 The first is a new series called Roteiro da poesia brasileira, fifteen titles in all. Each volume in the series deals with a specific topic or decade. The series is mostly an anthology, but also contains a good amount of information about each poet. And a publisher’s blurb about it is here. These take a bit of time to get to the shelves (we receive many books throughout the year), but please get in touch if you would like them rush-processed. My e-mail is mrs249@georgetown.edu.